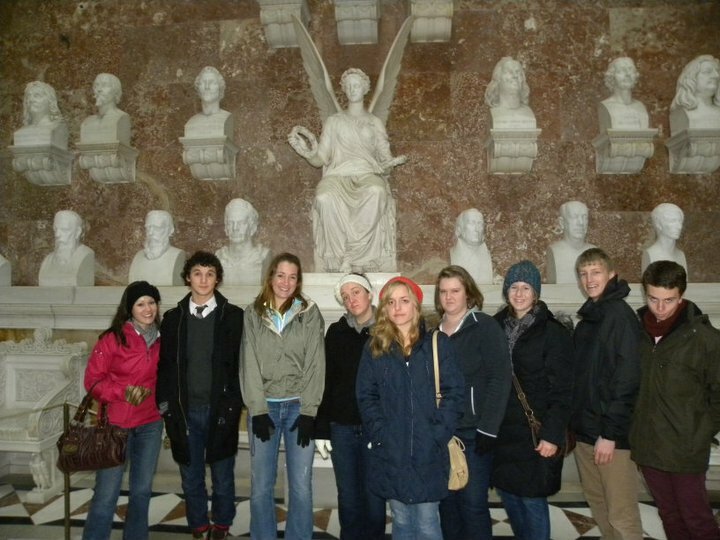 The students arrived Saturday, January 15th. 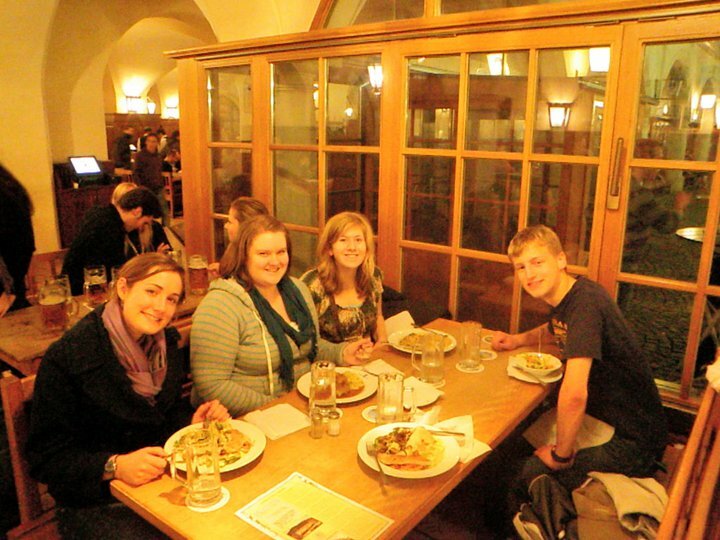 After airport pick-ups we traditionally drive into Munich for dinner @ the Hofbraeuhaus. 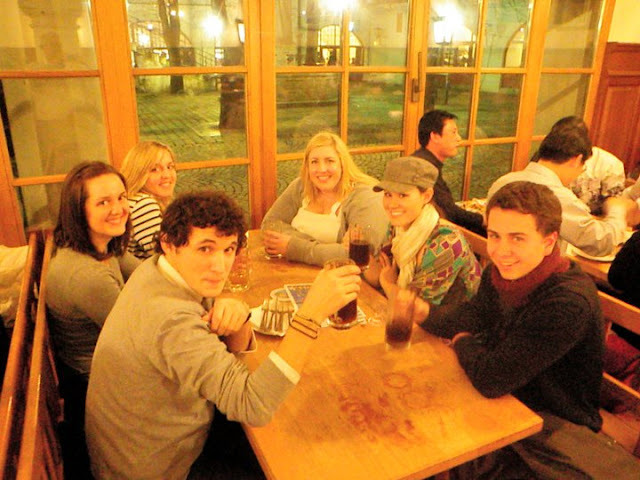 This semester we had a little surprise in store; we were spending the first night in Munich! The group just after a traditional Bavarian meal... yummers! 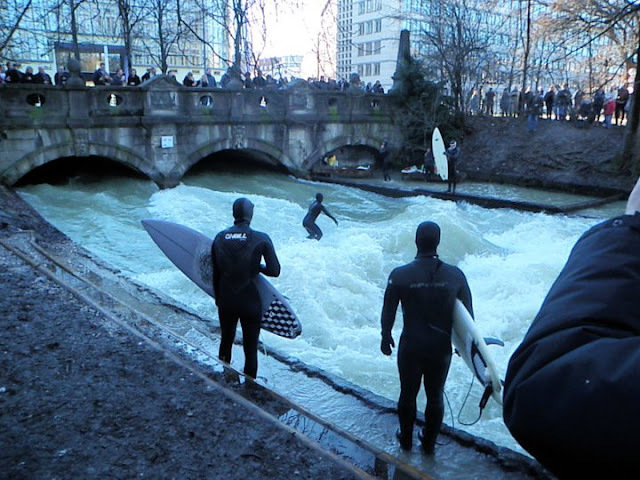 Taking in a little river surfing in the English Gardens... crazy! Walking in the Gardens on a Sunday afternoon. Lovely. After an eventful day in Munich including a stop at the Alte Pinakothek art museum we arrived in Regensburg just in time for dinner. 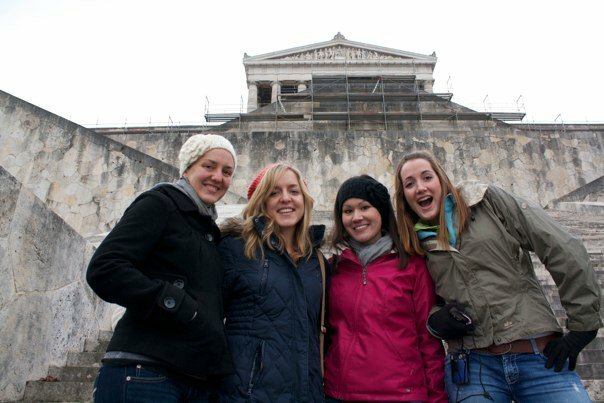 Outing to Walhalla, a temple modeled after the Parthenon, in Greece. It's just a few miles from the Student Inn! Inside Walhalla. The busts commemorate famous Germans who made significant contributions to society. On our way to Neuschwanstein Castle... in the Bavarian Alps. There was tons of snow! It looked like a winter wonderland. One of many trips on German public transportation. Hohenschwangau Castle - this is where King Ludwig II lived when he was little. It's situated on an Alp right next to Neuschwanstein Castle. Neuschwanstein. Look familiar? Disney may have used it as an inspiration for a few fairy tale dwellings in his theme parks. 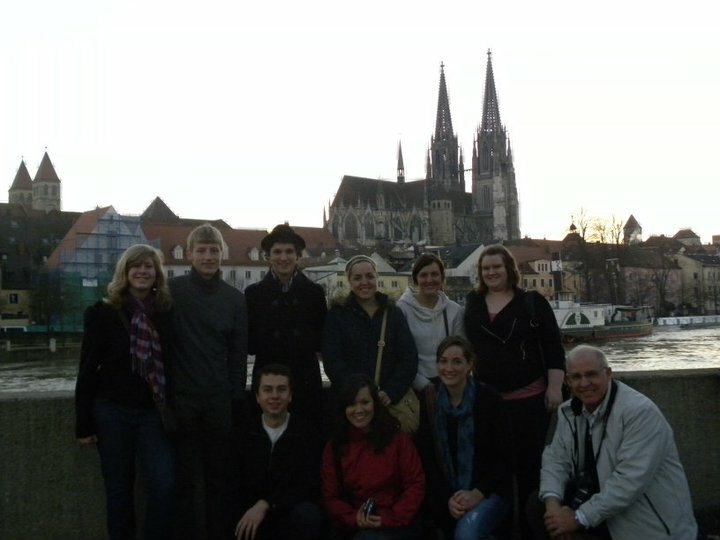 Up next: Christian Worldview classes & the first Academic Tour to Weimar, the Athens of Germany. Check in next week for updates! 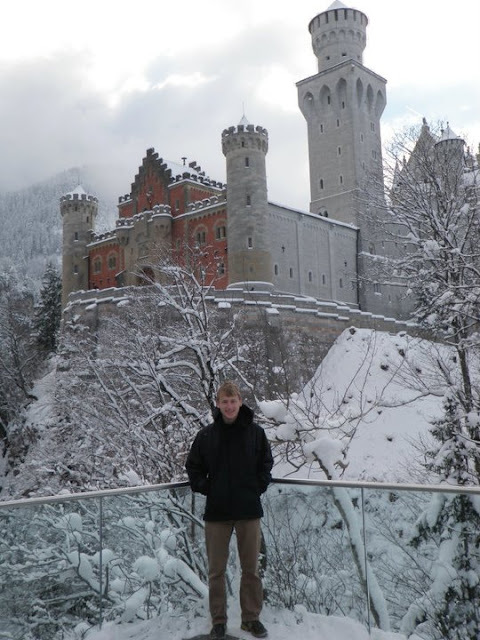 Neuschwanstein looked SOOOO incredible covered in snow!!! Hope everyone is having an amazingly incredible semester! !